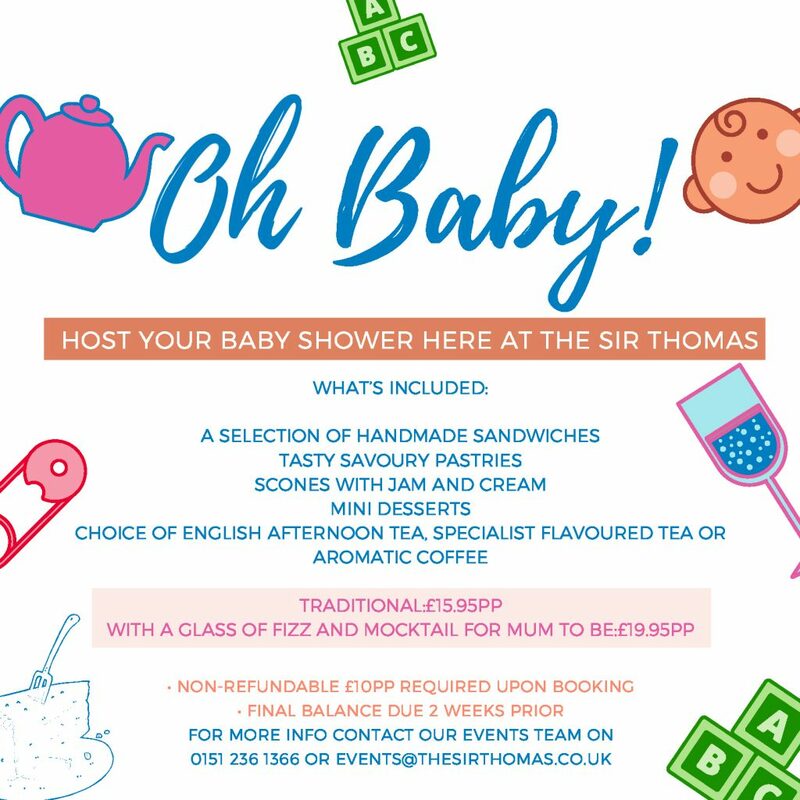 Thinking of holding a baby shower? well, why not celebrate with us at the Sir Thomas, right in the heart of Liverpool? Our newly renovated property right in the heart of the city is the perfect place to share special moments with friends and family and a Baby Shower is no exception. On your arrival, you will be shown to your seats in our newly refurbished Brasserie & Bar by one of our hosts to celebrate your excitement of welcoming a new arrival.